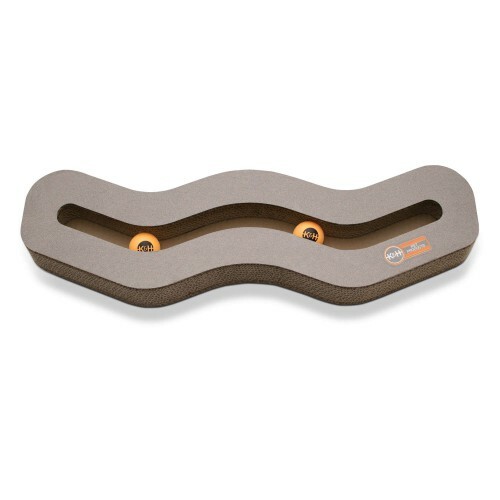 Optional Tippy rocker can be easily installed on the back of the toy causing it to teeter during playtime. Cats can swat and play while watching the two balls roll back and forth. A small packet of catnip is included to encourage use.